Well hello there embossing paste, how are you? I’ve missed you so! Those subtle white hearts on a white background just make me happy LOL. 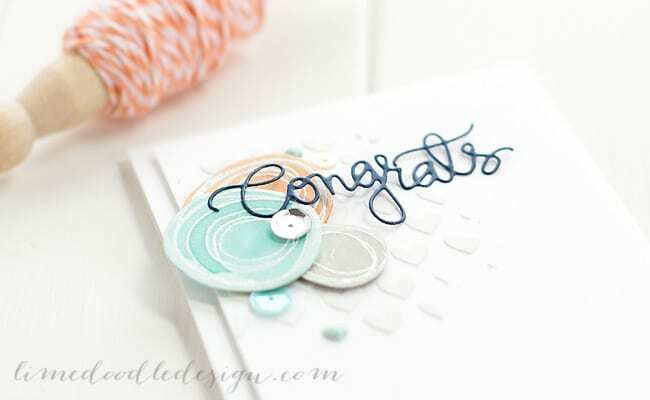 The Balloon Pattern stencil is part of the new Simon Says Stamp Pure Sunshine release and I used my favourite Wendy Vecchi white embossing paste to create the sweet backdrop to the focal point. 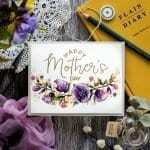 The Scribble Flowers set of stamps and dies creates fabulously modern flowers. I cut the dies from card, white heat embossed the scribble lines and then loosely water coloured them for a little extra oomph. The heat embossed lines traps the colour and gives a lovely effect which shows up best in the Sea Glass flower coloured with Evergreen Bough. The other colours are Citrus Slice with Dried Marigold and Fog with Pumice Stone. I’ve taken a couple of photos of my photography set up so hopefully at some point this week I will get the next installment of my Lime Light series up :D See you soon! This is stunning! Can’t wait to see the photo set up- trying to improve mine! That is an adorable card. Love the way you photographed it with the matching twine. 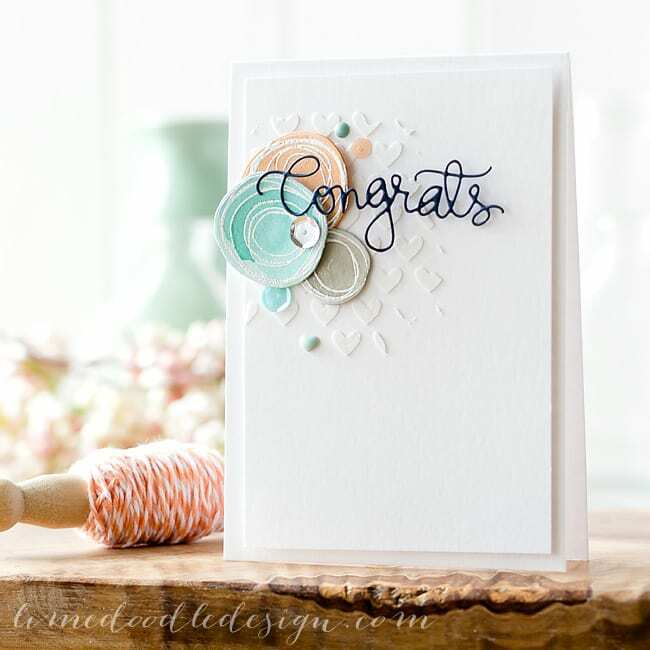 Love these circles, beautiful card! Love the choice of colors! This is a lovely card, and love the colours!!! You are amazing! I have been reading photography tutorials for a couple years and really stubble to get great pics! Your short tutorial has helped me so much! I am going to try it. Do you do any blur filters?